After over a decade of serving the Nashville community, we’ve seen homeowners face challenges of all kinds, and felt compelled to provide aid to them in whatever ways possible. Over the past few years, we’ve been helping the residents of East Nashville through a variety of service related projects. And with these experiences, we established the Armstrong Real Estate Foundation. Armstrong Real Estate Foundation is a non-profit run by neighbors for neighbors. It’s also our thank you. Whether you’re behind on your mortgage, struggling to keep the heat on, or truly need help making your home more livable, we’re here to help. Armstrong Real Estate gives a percentage of our profits directly to our Foundation. The money we donate ensures 100% of the Foundation’s administrative costs are covered so that 100% of outside donations go towards helping someone in need. 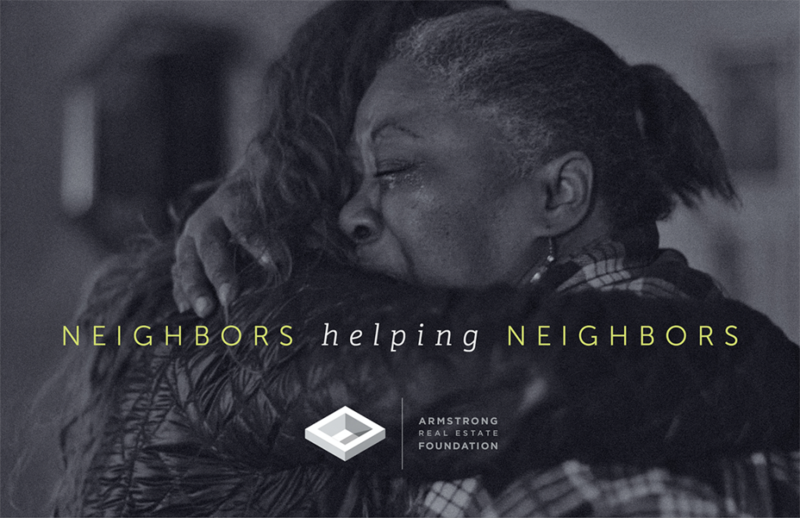 Completing it’s first project in 2015, Armstrong Real Estate Foundation has since taken on diverse community-based real estate related projects, assisting Nashville residents to feel more at home in the community that they love. From paying electric bills long overdue, to helping a house become more habitable for the people who call it home, or tidying up a park that’s been long neglected, the Foundation’s mission is to make Nashville’s neighborhoods a more enjoyable place to reside. With projects as powerful as they are diverse, Armstrong Real Estate is working hard to give back to the community that they call home. To learn more or to nominate someone you know who is in need, please click here. Want to learn more about Armstrong Real Estate, the Foundation or how you can get involved? Your new home purchase could help to give back to our Nashville community. Click HERE or give us a call @ 615.807.0579 with questions!